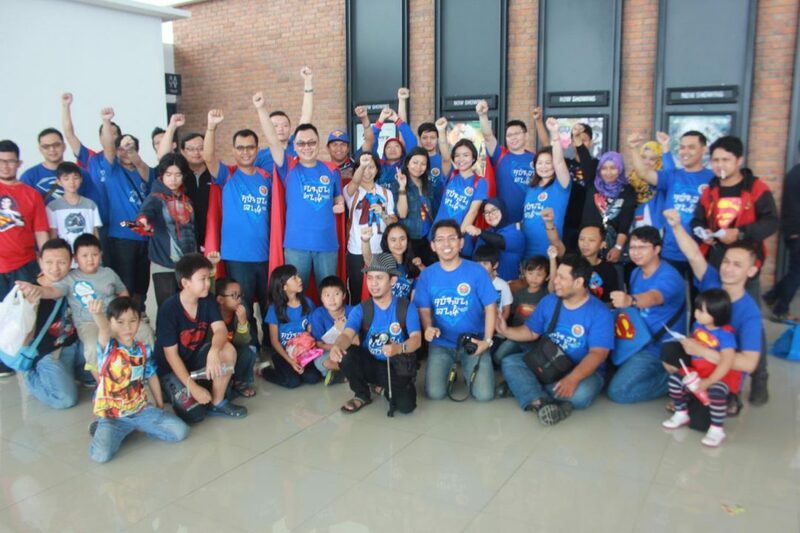 It’s a bird, it’s a plane, it’s Superman Fans of Indonesia (SFOI) Bandung Region filling up the cinema in Bandung, Indonesia. The event took place on Sunday, April 26th. The laughters filled the airs. Conversation and Selfies were made everywhere. 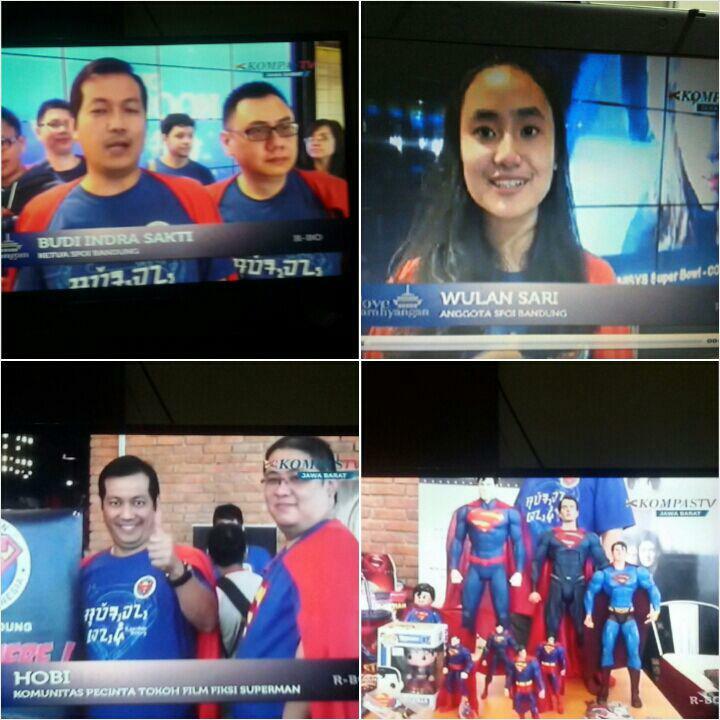 The event was hosted by Superman fans of Indonesia but the audiences also come from other communities and media. Both of them greatly supported the event by covering for the event and also by giving away a lot of gifts. The host team was all in uniform that is blue colours. 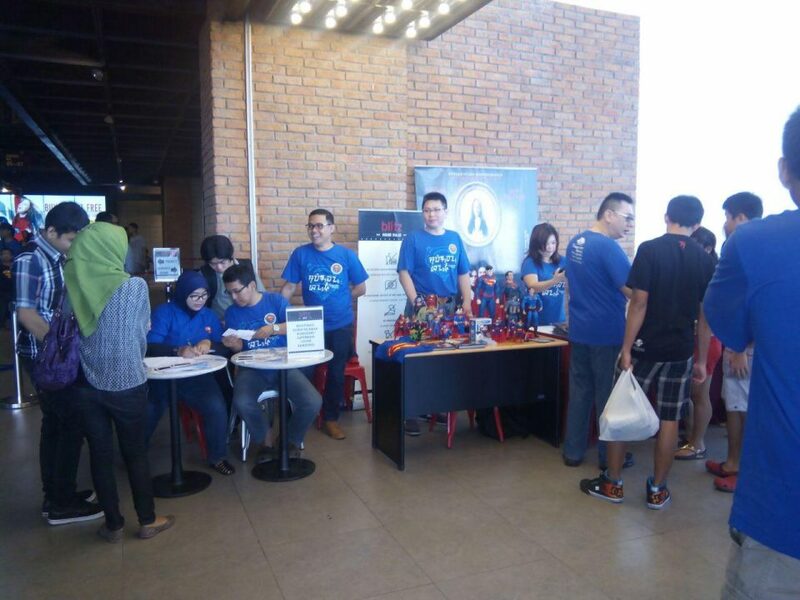 The show was scheduled at 10.30am and the registration opened at 9.00am which is half an hour earlier than the scheduled time but people already enthusiastically came to the building. As you can see from the picture beside the registration table there was a small exhibition to show off our collections. 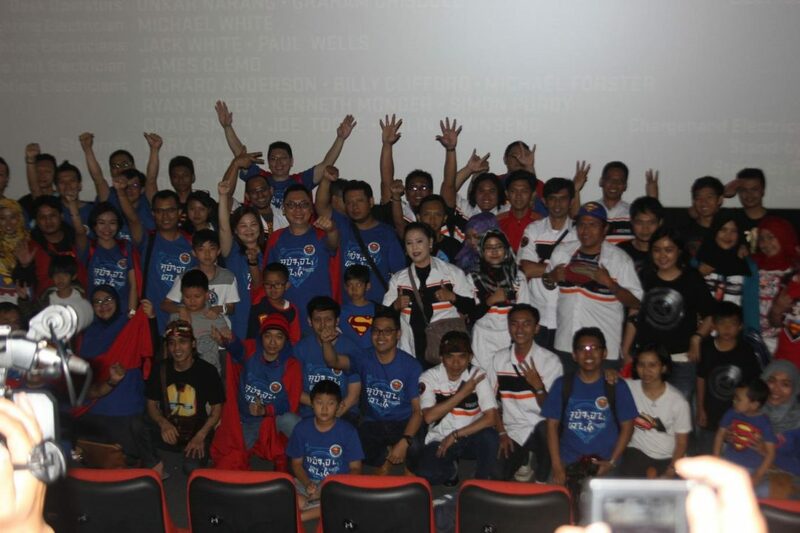 The event was sponsored by media such Cinemags Movie Magazine, 99ers Radio Station and Kompas TV. Three different medias at three different medium. So the event was big in it’s own way. People started to enter the studio at 10.00am as there were quizzes full of gifts from our sponsors. Among the gift away prices were t-shirts, jackets, goodie bags and the most ‘wow’ price was 2 vouchers each for a free night to stay over in the Serena Hotel, as one of our sponsors. 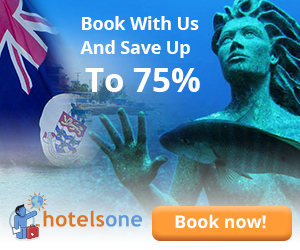 Whereas can you buy a movie ticket with a chance to have a night free voucher in 4 star hotels. The whole studio of 180 people was full and full of laughter when the quizzes started. It was a fun and fair quiz where everyone can win and the winners were come from every parties watching. Before the movie started, an advertisement about our sponsors and especially about what is SFOI community was played. It was so fun to see all of your friends faces in the wide screen. 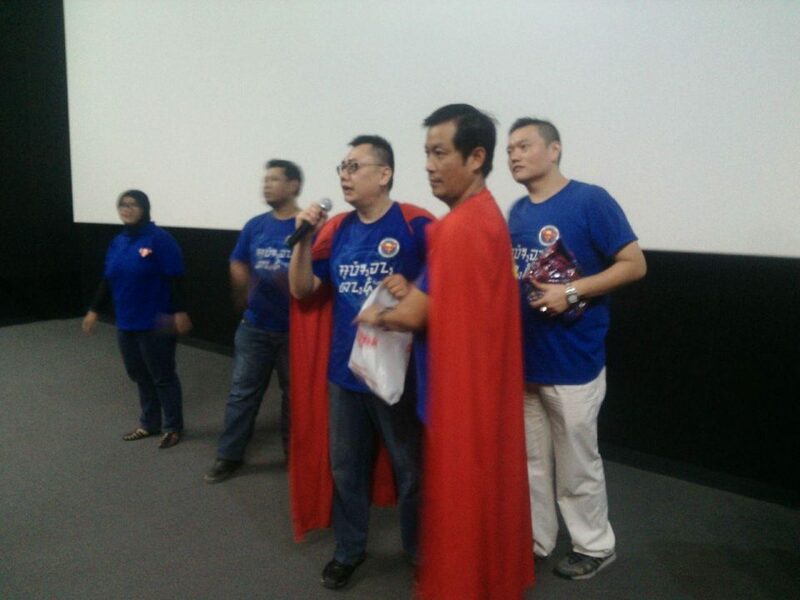 The big question asked by many people when the event was advertised was why Superman Club watching an Avenger movie. DC watching a Marvel movie? 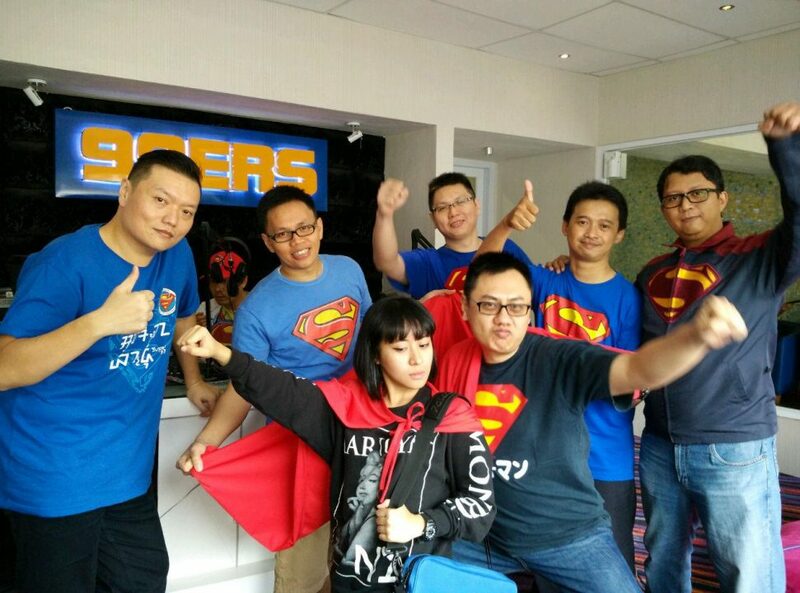 Well, the reason being that as a Superhero, Superman treat others as friends so that’s why the club supported “the enemy’s movie” coz as fellow superhero, Avengers are friends to Superman. In a real world full of wars in many parts of the world, a tiny bit effort shows to make peace. As soon as the movie finished, everyone came down to the front of the screen and get their picture taken. The dresscode of the audiences were uniforms for SFOI members (blue) and for our friend Ertigamania members (white) while the rest were wearing superhero team t-shirt. The show was a success. Everyone was happy. Hope that by next year, the movie of Batman vs Superman will have a greater number audiences, more gifts and more funs.